The use of gliptins in the treatment of people with type 2 diabetes has increased considerably since their introduction a decade ago. They are associated with less weight gain and fewer hypoglycaemic episodes than other antidiabetic drugs and have better cardiovascular outcomes. Gliptins work by inhibiting the enzyme dipeptidyl peptidase-4. This leads to increased levels of the hormone incretin, which helps the body produce insulin only when it is needed and reduces the amount of glucose produced by the body when it is not needed. Unfortunately, inhibition of the enzyme may have unintended consequences, as it is also found on the surface of a variety of cells including those involved in immune response. This population-based cohort study in the UK aimed to see if use of this medication is associated with inflammatory bowel disease in people with type 2 diabetes. Researchers examined the records of 141,170 patients without known bowel disease, who were prescribed any anti-diabetic drugs. The study found that use of gliptins is associated with a 75% increase in the risk of inflammatory bowel disease. Although the overall risk is low, prescribers should think twice before giving this type of medication to those at high risk. This includes those with a known autoimmune disease such as inflammatory bowel disease or with a family history of the condition. 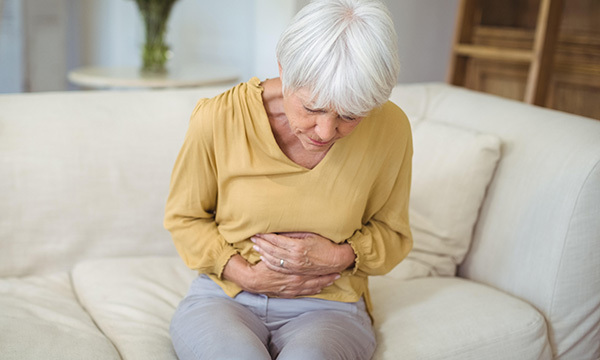 Patients taking gliptins who complain of persistent gastrointestinal symptoms such as abdominal pain or diarrhoea should be closely monitored for worsening of symptoms. Abrahami D, Douros A, Yin H et al (2018) Dipeptidyl peptidase-4 inhibitors and incidence of inflammatory bowel disease among patients with type 2 diabetes: population based cohort study. BMJ. 360:k872.